Large Recessed Butterfly Latch in Deep Plain Dish. 10mm / 3/8 From Split to Hole Centre. 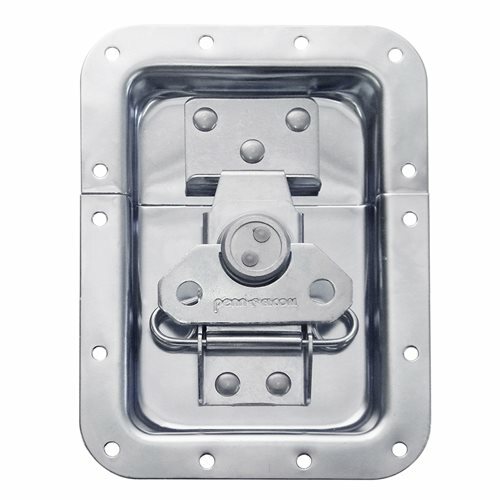 Securely close your case with a Penn Elcom latch mounted in a large recessed dish. For use on large-sized cases. The PennBrite zinc plating offers an excellent protection against corrosion with a distinctive bright Penn Elcom finish. The fixing holes are 10mm / 3/8 away from the central split of the dish making it perfect for hybrid edge extrusions.